Hi everyone. It's me, Vera. How did you enjoy our new release hop? 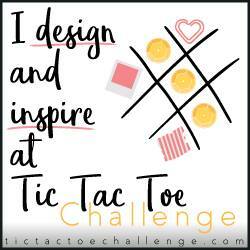 Have you checked out all the blogs, yet? If not, you still have time till the end of this week to be entered for the giveaway. 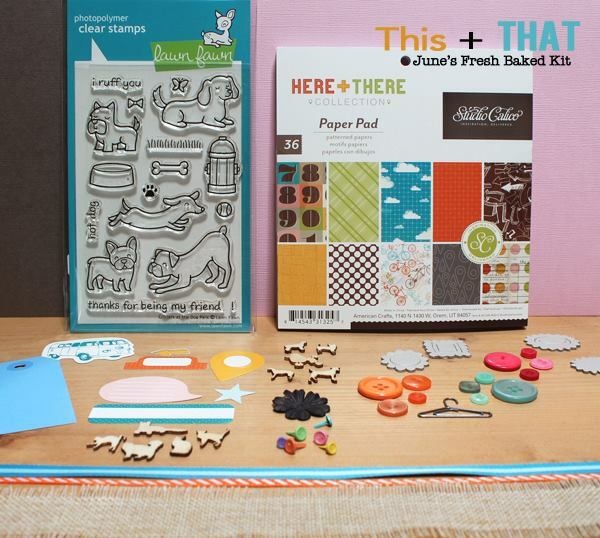 Now, I have more cuteness to share from this month's kit called This + That. 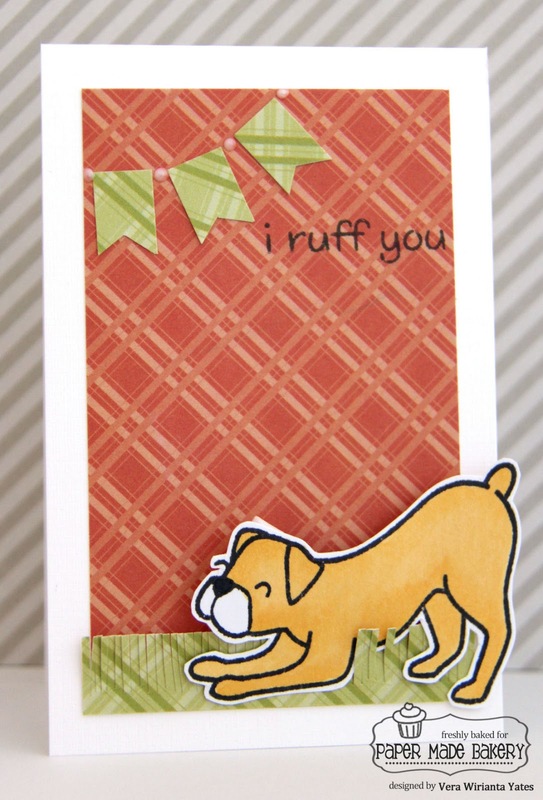 This time I am using the boxer dog and made this mini card with the ruffle grass. I added white enamel in between the banner for some extra detail. Yep... this month's kit is perfect for me as lately my mind is on doggies. We are considering adopting a rescue for Eli's (my pug puppy) play mate. There's so many rescue dogs out there that my heart just breaks every time I see their picture. Rescuing a dog is a cause that I hold close to my heart. Anyway, if you love doggies, you should seriously get this month's kit. :) Thank you for stopping by. what a darling card. Love how the banner matches the bottom paper. OMYGOSH!!! Sooooooooooooo cute!! I love love love it!!! great kit and fab card Vera! This is too cute! I love stamp set too! Adorable! Love the banner and the great colours. I think this one is my favorite dog! I just love the dog stamp set. Such a sweet card and I love the banner!